Germaphobes should stop reading now. 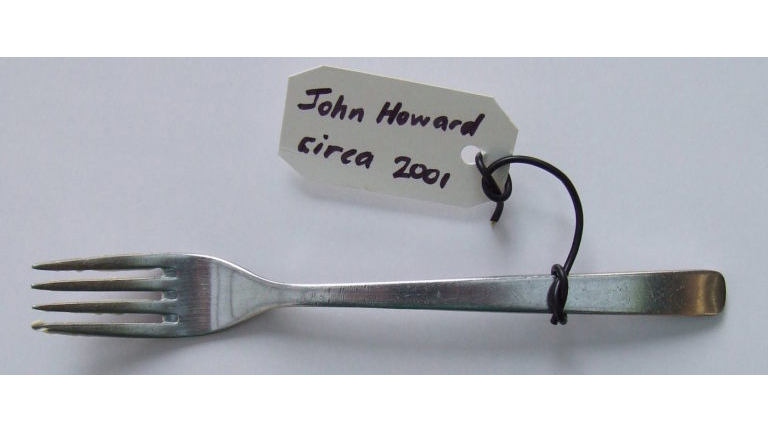 As part of a very unsanitary-sounding art project, one well-connected man spent 15 years stealing and accumulating forks used by the world’s rich and powerful—taking care to preserve any saliva and food morsels. 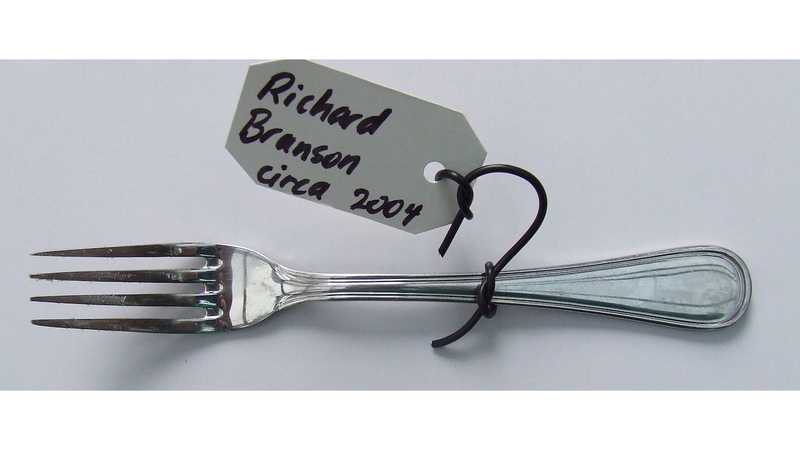 Melbourne activist Van T. Rudd collected unwashed forks from diners such as Hillary Clinton, Prince Harry and disgraced former FIFA president Sepp Blatter while he was working at various luxury catering companies in the 1990s. 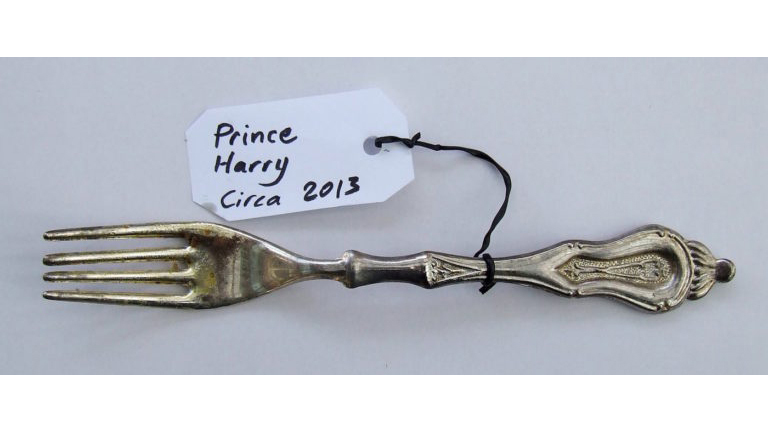 Now, he's displaying his collection in an exhibition called "The Rich Forks," to be shown next week at a community arts center in Melbourne before circulating around the globe. The Guardian, remarking on the artist's statement, reports that "the idea behind the project is two-pronged: on the one hand it 'takes back a tiny bit' of the wealth of the 1% and on the other it exposes and infiltrates exclusive corporate dinners 'where billionaires and conservative politicians decide the future of our world while devouring premium food and wine’." Rudd happens to be a nephew of former Australian prime minister Kevin Rudd. 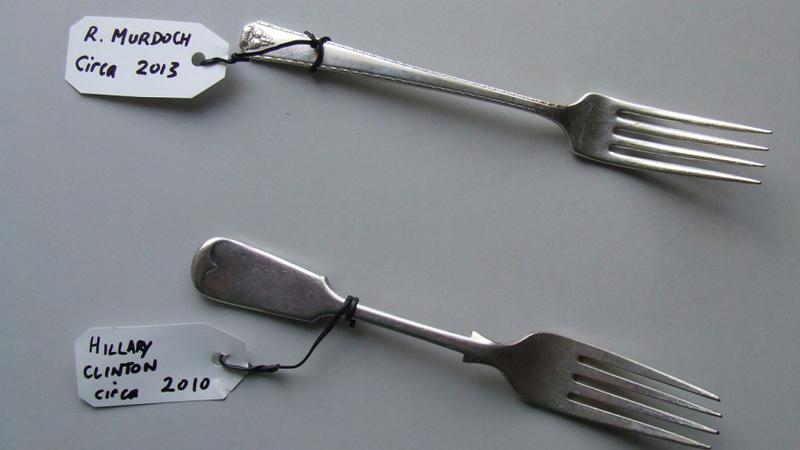 No word on whether the collection includes a fork from the artist's uncle.